Research by historian Henry Leide reveals that the communist regime of the former German Democratic Republic, usually known as East Germany, purposefully turned a blind eye to the atrocities committed by SS guards with the blood of countless Jews on their hands. His study suggests that just 15 people who had served at the camp were prosecuted throughout the 41 years of the GDR. Mr Leide believes this was no accident, claiming it was part of a propaganda mission to show East Germany as the “better Germany”. 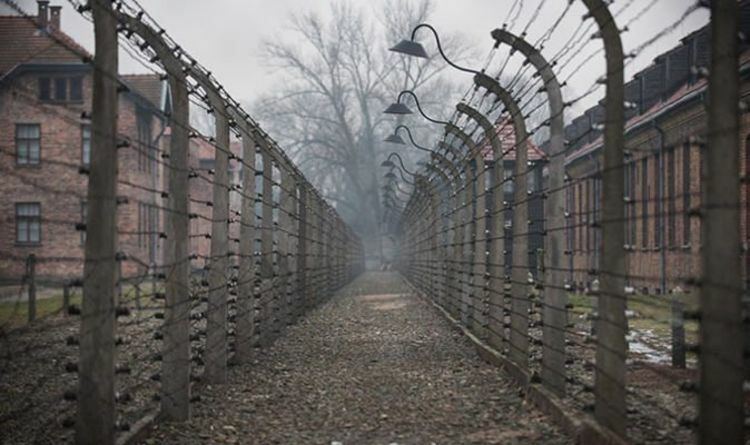 The German historian said that by suppressing the crimes of the Holocaust, the GDR sought to persuade the world that it was the “better Germany” and that the Nazi past was West Germany’s problem. According to The Times, Mr Leide’s research suggested only 15 Auschwitz Nazi’s had been prosecuted. Two were executed and four were sentenced to life imprisonment. But the remaining nine were given just cursory sentences. Four, including two SS men, spent a short period in jail before walking free, and the other five were given amnesties. Despite such few convictions, an official 1969 pamphlet declared all Nazi war criminals had been punished. It said: “[The] Nazi activists and war criminals have been convicted. Mr Leiden said a striking example found in the archives was that of Hans Anhalt, a tractor driver from Thuringia. In 1962, after tip-offs from Mr Anhalt’s neighbours, the Stasi searched his home and found leather gloves, purses and handbags that he had taken from Jews in Auschwitz. He eventually confessed to taking part in the mass execution of 500 prisoners on a death march. Mr Anhalt did not see himself as a criminal and was without guilt. Mr Anhalt's was sentenced to a life sentence in a closed court, a case that has remained a secret for half a century. Mr Leiden’s findings are published by the Stasi archives in a book called ‘Auschwitz and the Stasi: Prosecution, Propaganda and Secrecy in the GDR’.